In a press conference, NASA announced that a team of astronomers led by Dr. William Sparks who observed Europa with the Hubble Space Telescope captured images of what might be plumes of water vapor and erupt from the surface of this planet moon Jupiter. They would be a confirmation of the existing subsurface activity with an ocean of liquid water, one of the best candidates to host life forms. The results of this research will be published in the “Astrophysical Journal”. NASA called the new findings that would announce surprising but eventually they’d be confirmations of the first evidence of the existence of plumes emitted from the surface of Europa discovered in 2012. At the time, the Hubble Space Telescope identified the traces of emissions of hydrogen and oxygen that seemed elements derived from water molecules broken by the powerful Jupiter’s magnetic field. That was one of two research whose results were published in late 2013. This new research was based on a totally different method, similar to that used to detect and study the atmospheres of planets, including those in other solar systems, when they pass in front of their star and their atmosphere blocks a part of the starlight. The difference is that the observations of Europa took place as it passed in front of Jupiter and not the Sun but the method still worked because this moon’s atmosphere would block some of the planet’s electromagnetic emissions. 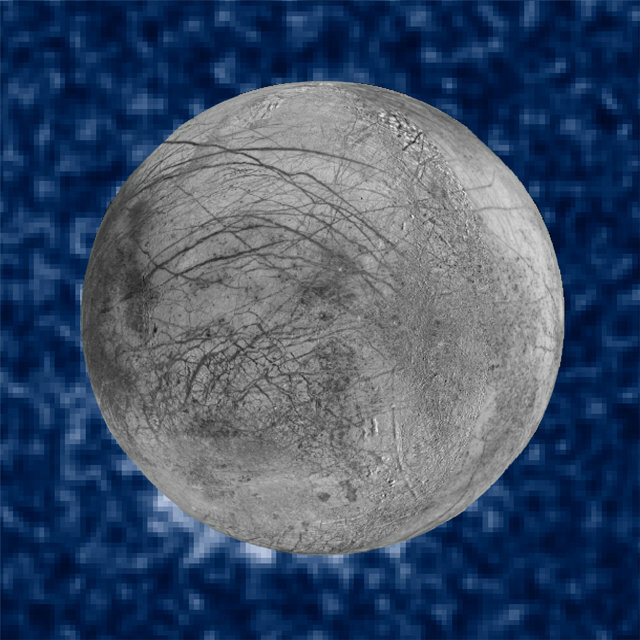 Europa’s observations were made over a period of 15 months for a total of 10 passages. Instead of finding an atmosphere, in three of those occasions the astronomers detected what could be water vapor plumes. They rise from this moon’s south polar region to an altitude estimated at more than 160 kilometers (100 miles) into space. Despite the different methods used by the two teams in the course of their research, the conclusions are the same and the different calculations of the amount of material needed to create that type of absorption of Jupiter’s light show similar results. In essence, the two teams observed the same phenomenon but it seems that it’s only sporadic since it was observed only on some occasions. Water vapor plumes containing various chemical compounds were detected in recent years on Enceladus, one of Saturn’s moons. They are much more continuous than those on Europa and there’s the advantage that they were discovered and studied by the Cassini space probe, which is in the area, and not from Earth. NASA is preparing a space mission with a probe that in a few years will go to study Europa. Many elements are yet to be determined but the instruments were selected. The presence of plumes coming from this moon’s surface make it possible to study the underground ocean content without the need to design complex machinery with a lander having an equipment to dig into the ice to probe the liquid water.